Halloween is just around the corner and what craft item is back in my possession? The beloved Toilet Paper Roll! But this little tool of wonder may become your best friend in the latest kid craft addition I have for you! Only a few household items are needed to create a wonderful fall decoration, and this one cost me $0! This adorable pumpkin is fancy enough to adorn your family dinner table or give as a wonderful gift too but super simple to make. 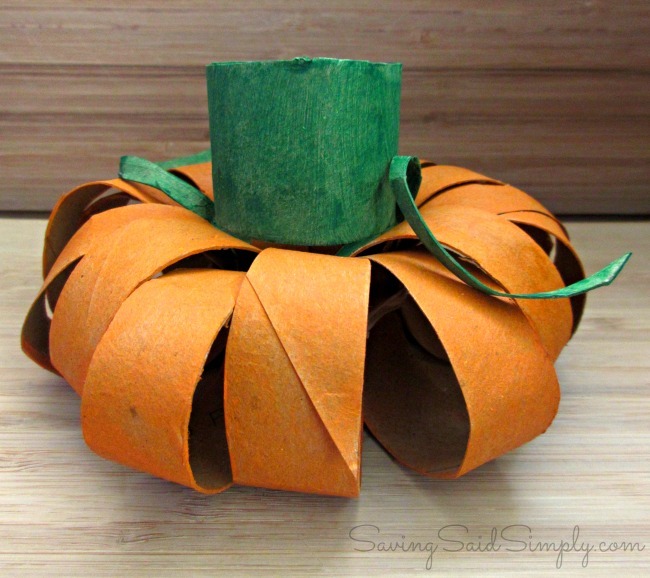 Check out how to make this Toilet Paper Roll Pumpkin! 1. 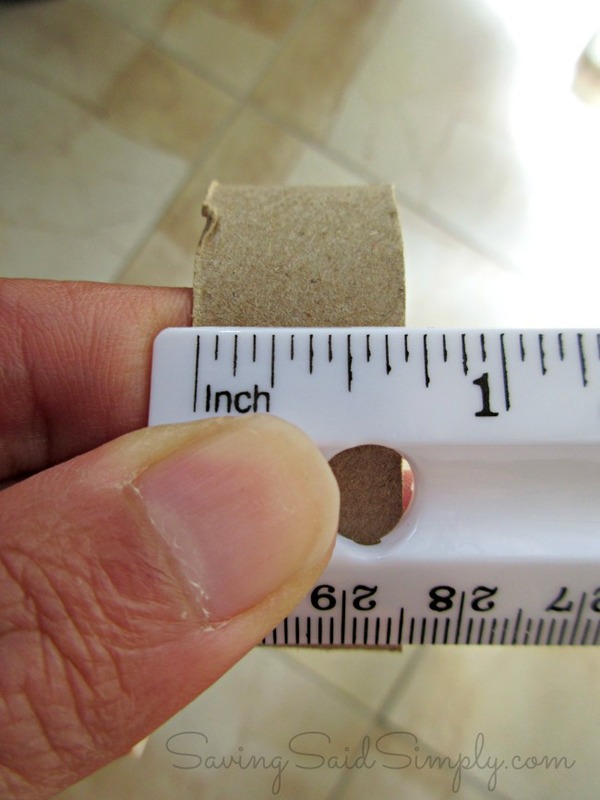 Cut the first 3 toilet paper rolls into equal 3/4 inch circles (don’t worry if it’s not exact). 2. Paint the circles (inside and out) orange. May need a couple of coats to get desired pumpkin color. Allow to dry between coats. 3. Grab your 4th toilet paper roll. Paint tube green inside and out. Cut in half. 4. String your orange circles together on your string. 5. 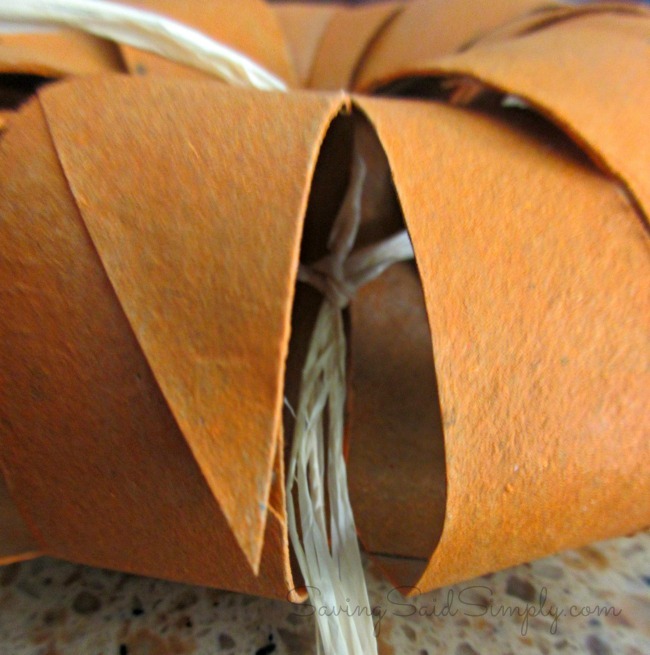 Pull around into tight circle, arranging the painted circles as desired for pumpkin shape. Tie string into a knot. Cut off excess string ties. 6. Use one half of your green tube to be your stem of the pumpkin. Glue on top. 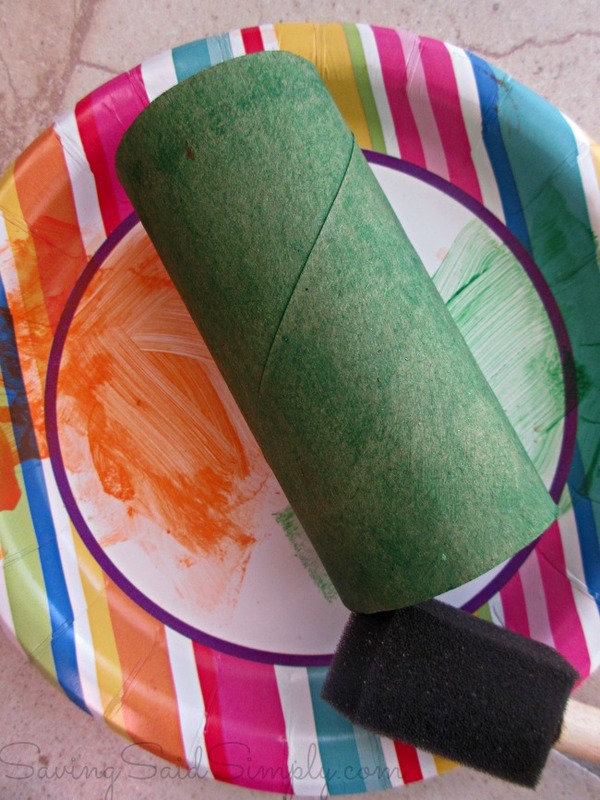 Take the 2nd green tube and cut a long curly edge along the seam of the toilet paper roll. This will be your “vines” for your pumpkin. Glue onto your pumpkin. VOILA! A super cute Halloween decoration and fun project for the kids..all at NO cost 🙂 Need some more kid craft inspiration? Check out the crafts page of the blog or my Pinterest Page! 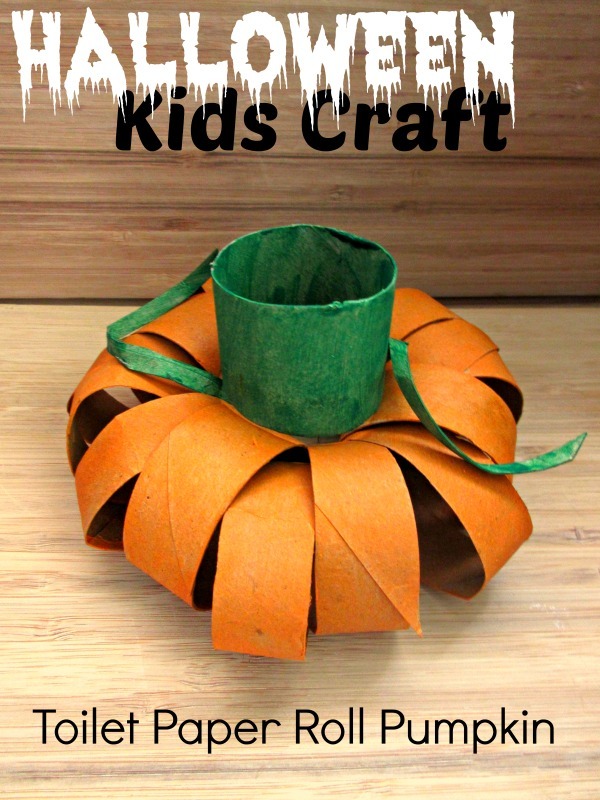 I’ve got 10 Pumpkin Kids Crafts HERE too! 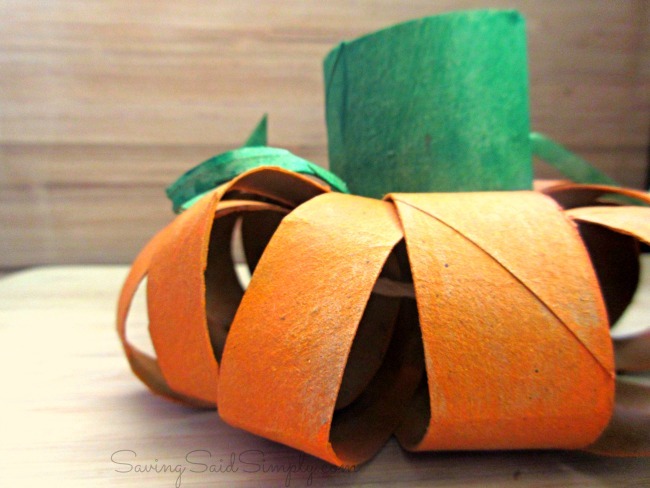 Are you planning on making these easy toilet paper roll pumpkins for Halloween? Let me know in the comments below! My kids would love to do this craft. My daughter especially likes to do anything crafty and she loves Halloween. 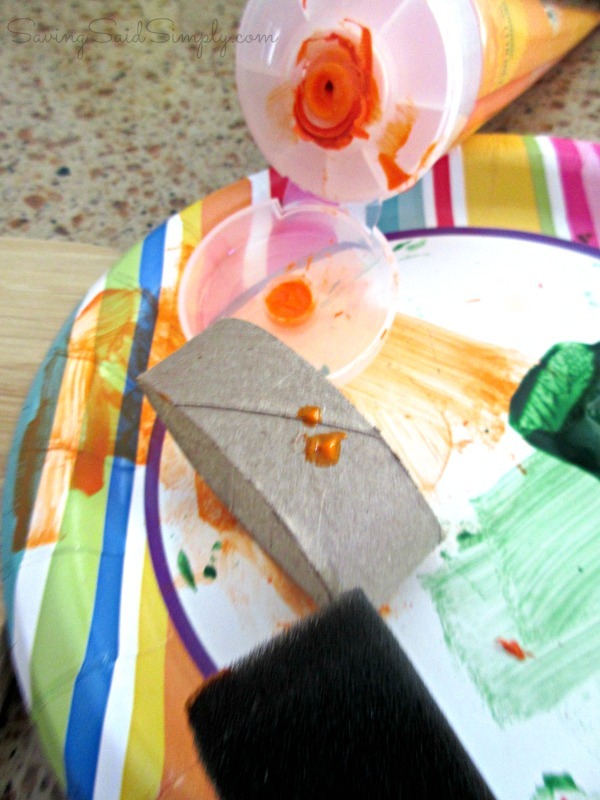 I keep paper towel and toilet paper rolls on hand for crafts like this. Pinned. 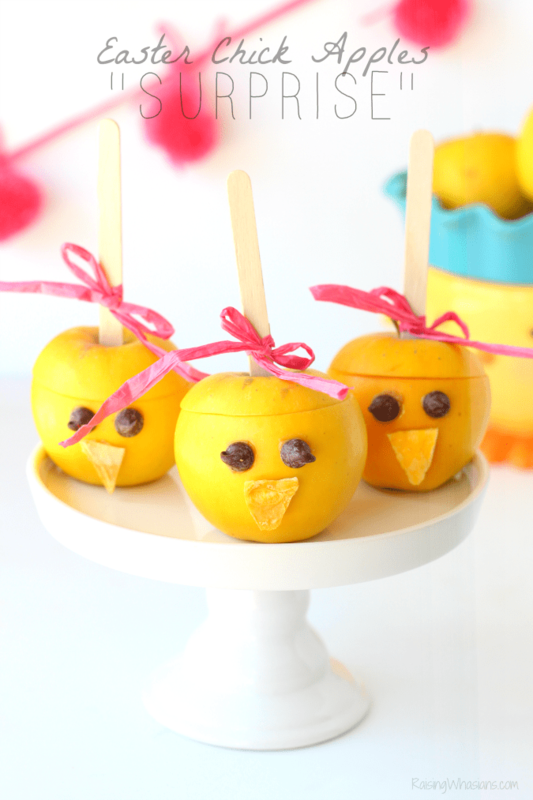 Such a perfect craft idea for the kids with the fall season now here. I just might make a couple myself. How cute is that! I would love to make one of these for myself to put in my kitchen. Oh how fun! I will for sure try this with my little ones. I think they’d love this! We love pumpkins! This is adorable! 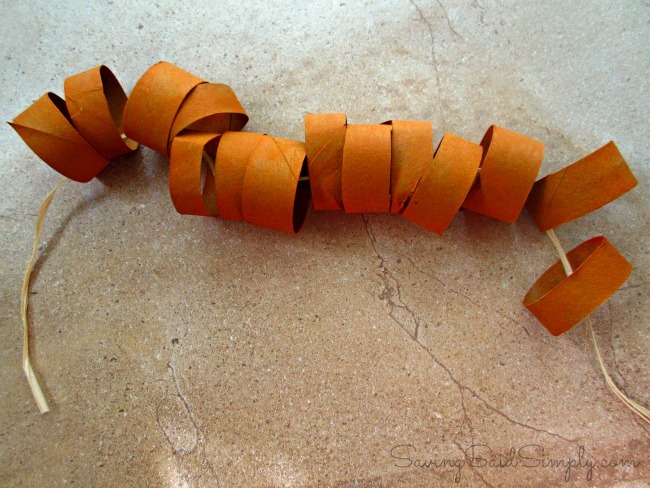 I am going to save all of our paper rolls to make one! I wasn’t ,didn’t even know that these could be made into that. I normally make the toilet paper bats but we will be trying this now. My kind of craft! Affordable, Easy, & cute!!! I was hoping to find something other than a bat! And I am thrilled to find this. But we only have 2 rolls right now so we will need to wait. I just made this and it was so easy! 1 paper towel roll (for the pumpkin) and 1 toilet paper roll (for the stem) is another combination that works perfectly! Cant wait, we having been saving for awhile!! Such a cute Halloween pumpkin! I know my kids would love this. They are always trying to save toilet paper rolls and use them for random things. Thanks for sharing… I love it.